I’m so glad to be using SOLR in this side project. I can recommend the tutorial, which is excellent. Use the cmdline.py, with the scrapy parameters (you would use on the command line. I have been using the XPathHelper (Chrome plugin) with my xpath queries. It provides a good way of parsing advertisement titles and a href. I’ve been wanting to push my latest side project forward for quite some time. It’s now time to do just that. I’ve had the idea of developing a Microservices based product which finds “VW adverts” based on keywords and phrases. You register, enter your phrases, and off you go. 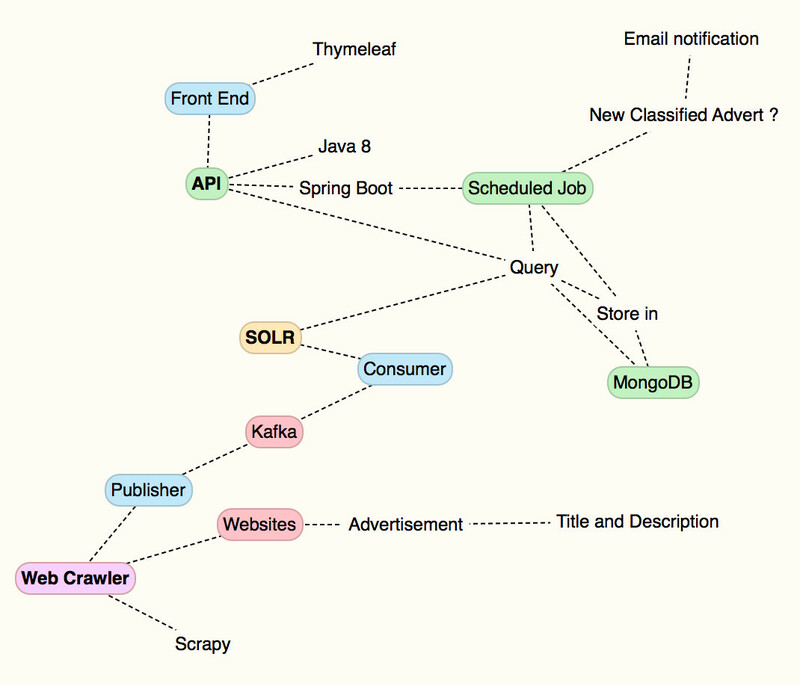 The tech stack is Spring Boot, with MongoDB. 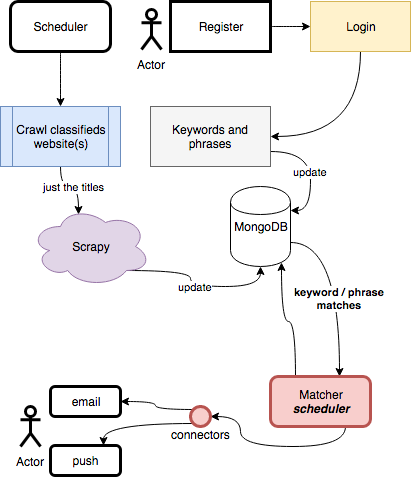 After some investigation, i’m going to use Python Scrapy for the crawling. The next task is to get an xpath so I can start getting some advert data.